If you’re heard the song ‘Best News Ever’ from MercyMe these lyrics sound familiar to you. Do you ever hear a song and think it was written for you? That’s how I feel about this song. I’m a personal development junkie. Reading all the self-help books and listening to all the podcasts. I love learning from others, and I love success stories; specifically how people built their small businesses. I know I’m not alone here, I mean the personal-development space is a $10 billion industry. Head down, keep on working — hustle, hustle, hustle. Always looking for my next achievement. 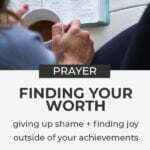 Feeling shame for taking a weekend nap, taking a night away from my computer, or taking a day off because my worth is found in my achievements. I hate the ‘F’ word, failure. But my pride can single-handedly steal my joy. 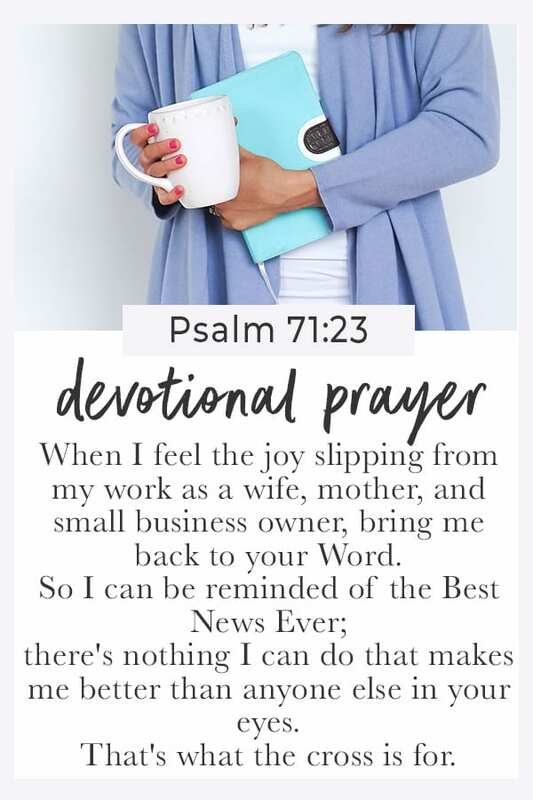 When I feel the joy slipping from my work as a wife, mother, and small business owner; that’s when I know it’s time to set all other books aside and pick up the greatest self-help book there is: The Bible. 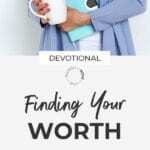 So I can be reminded where my worth comes from — not from my achievements. No, there’s nothing I can do that makes me better than anyone else in God’s eyes. How humbling! 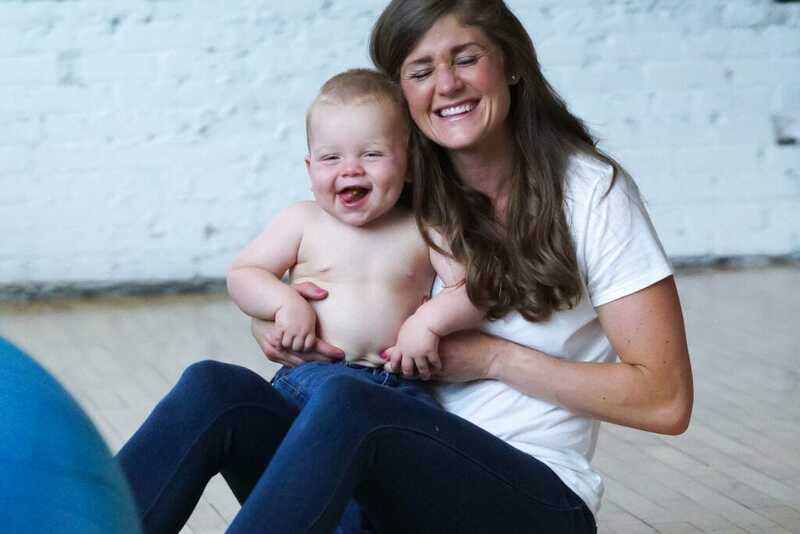 When I feel the joy slipping from my work as a wife, mother, and small business owner, bring me back to your Word. there’s nothing I can do that makes me better than anyone else in your eyes. That’s what the cross is for. 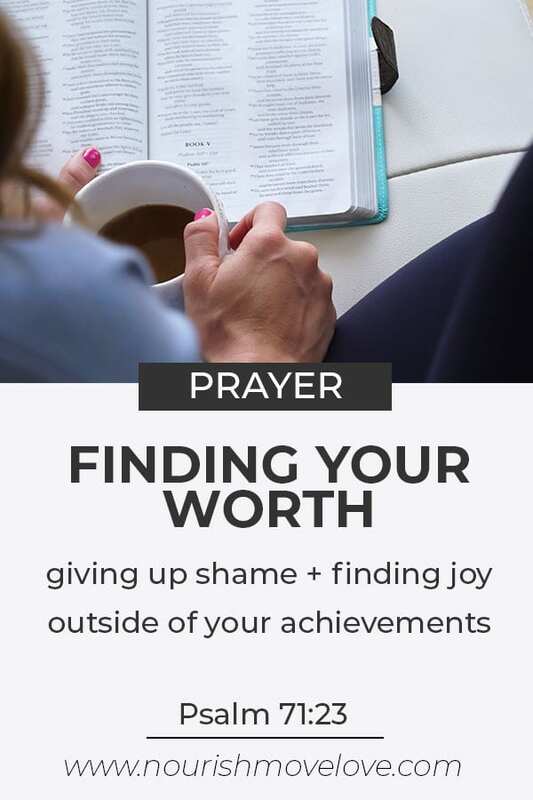 **Note, if you’re someone that feels the ‘guilt’ of taking time off, or motherhood; I highly suggest listening to Jen Hatmaker’s For the Love Podcast — Getting vulnerable with Dr. Brenè Brown where she explains the difference between guilt and shame. Looking for other faith-based posts? 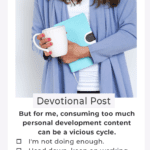 You can find my previous weekly Devotional posts by clicking here.